The 30" cherry finished bar stool is an instant classic and a perfect addition to any home that will provide plenty of seating. Can be used as counter top seating or paired with a kitchen island. It's made of solid wood and comes fully assembled. 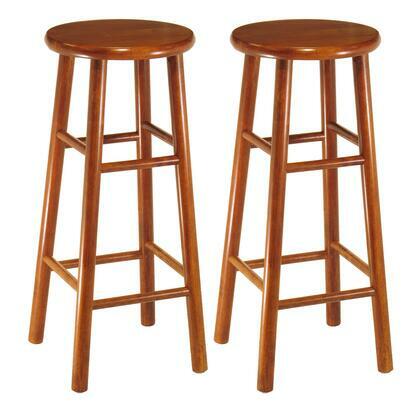 Each stool stands at 13.5"W x 13.5"D x 30.1"H. Seat dimension is 13" round. Max 220 lbs. 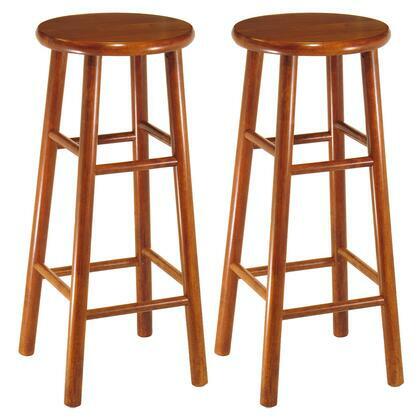 This set includes 2 Stools. Perfect to pair with tall kitchen island or bar height table. Made from solid wood in heritage cherry finish . Ships fully assembled.